Back To School With iSmile Orthodontics! While many kids are sad to see the summer end, we know many of the parents at our office are excited for the new school year to start! At iSmile Orthodontics, your local White Plains and Yonkers orthodontic practice, we understand the importance of a child’s smile. This is why the doctors and staff at our practice have decided to dedicate a blog post just for back to school oral hygiene tips and tricks! Parents understand the enduring struggle that can occur each time you try to get your Imagechild to brush and floss his or her teeth. At iSmile Orthodontics, we have found that one of the best ways to promote good oral hygiene is to have your child come with you to the grocery store and pick out his or her very own toothbrush! When a child is proud of his or her own toothbrush that they handpicked themselves, they are more likely to brush when they are asked to. Try to get your child to brush before he or she goes to school, when they return home from school in the late afternoon, as well as once more before bedtime. It can be difficult to have your child brush after every meal, but by brushing their teeth 2-3 times daily, you are helping them eliminate plaque and food particles that can be built up between meals. Flossing can be a whole challenge on its own… especially for kids. Having your child floss at least once a day is a great way to promote gum health and remove any plaque and germs that are resting in the tight spaces between their teeth and underneath their braces. Also, try having your child rinse with water or anti-bacterial mouthwash as soon as they are done. By doing so, you are helping your child prevent gum disease and common problems later on as adults. Make a Fun, Healthy Snack! At iSmile Orthodontics, we want your child to enjoy healthy snacks that are both fun and orthodontist approved after school! This is why we decided to provide a recipe for a cute after school snack that the kids can help with making! Try making these fun and easy grape caterpillars after school one day with your child. 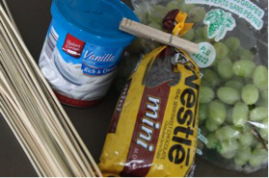 All you need to assemble them are green or purple grapes, mini chocolate chips, cream cheese or white icing, and long wooden skewers for kabobs. To assemble, take anywhere from 6-12 grapes (if you want to make baby caterpillars use 6 or 7) and skewer them horizontally on your kabob. Once all of the grapes are skewered (with the help of an adult) add two dots of vanilla icing or cream cheese and two mini chocolate chips for the center of the eyes. After this, your caterpillar family should be complete! Have fun with this recipe and add your own twist with funny faces or even mustaches on the caterpillars! Your kids are sure to love this snack as well as spending time with you making them! We appreciate you taking the time to read our blog. For more helpful tips and tricks to maintaining great oral hygiene during the school year please contact us at our Yonkers and White Plains orthodontist offices and we would be happy to assist you! Greetings Everyone! Looking to have a smile that will last a life time? Visit us on FaceBook and visit our website and come in for a free consultation! Ask about or treatment for children AND Invsalign for adults! It is never too late for braces! It seems as if the American Dental Association (ADA) is on the fence about this one! There is a lot of discussion about oil pulling. What is it? What does it do, does it work, is it worth trying, or is it just some “thing” that people used to do over 5000 years ago? However this thing called oil pulling is still practiced today! 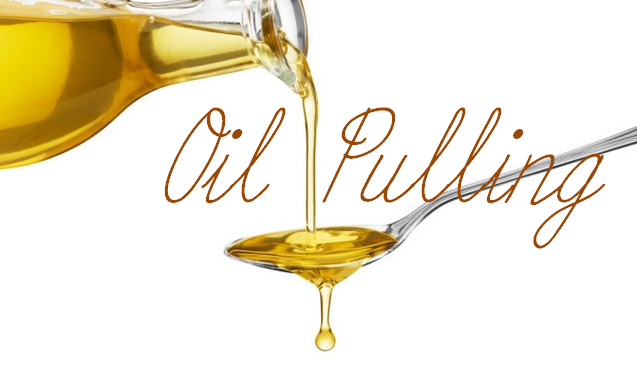 Oil pulling is done by putting a tablespoon amount of a chosen oil into the mouth and swishing it around from anywhere from 2-20 min, then spitting it out. The idea is to remove toxins from the oral cavity. Now some dental professionals say that there is no need at all for the practice of oil pulling because it does not correct tooth decay etc. They say there is no evidence of oil pulling being significantly beneficial. In fact, it may have adverse health effects such as lipoid pneumonia or mineral aspiration. ADA suggests that oil pulling is NOT recommended as a daily supplementary oral hygienic routine and certainly not a replacement for brushing twice daily with a follow-up use of flossing and Listerine. Brushing with fluoride toothpaste and flossing is the recommended routine for preventing cavities and other oral issues that may arise. But lets touch back on the subject of Listerine that the ADA very much so defends! Laboratory experiments have shown concrete evidence of fighting the build up of plaque. But what about the four essential oils that are used in Listerine? Thymol, Eucalyptol, methyl salicylate and methonal are all oils. 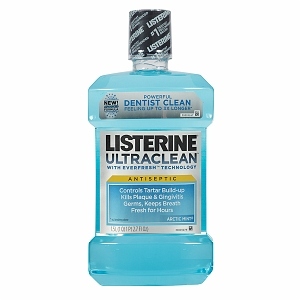 So when using Listerine, is it not still essentially oil pulling that is happening? ADA justifies it by saying that its different from using what is commonly used (coconut oil, sesame oil, tea tree) by stating that they are different because they are used in smaller concentrations mixed in an aqueous solution. Though ADA states that they, “Compared oil pulling to the use of a chlorhexidine rinse, found chlorhexidine to be much more effective in reducing S. mutans levels in plaque and saliva. However, the same study did not look at whether the S. mutans reduction provided the clinical benefit of reducing cavities.” So can we really throw the idea of oil pulling out the window? Along with the natural whitening of the teeth, Dr. Emery explains the other health benefits specific to people with potential heart conditions, digestion, pregnant women etc. It does not seem like such a bad idea to add oil pulling to your daily regimen of brushing twice a day, flossing, and using Listerine. It seems as though oil pulling just puts a halt to oral hygiene or cavities getting worse. After all it is all preventative care. Live Life Smiling at iSmile Orthodontics! Pay us a visit online or on Facebook! 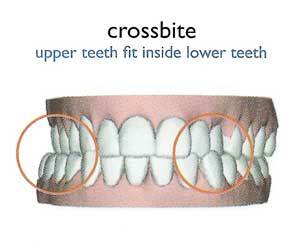 Call and request a FREE consultation here at iSmile Orthodontics. An article written by Brianna Devito states that, image is our expression of beauty and the perceptual experience of pleasure to our senses. Since beauty is in the eye of the beholder,’ our world is depicted with infinite shades of magnificence. However, this romantic view of beauty is plagued by society’s means of standardization. Like modern society, ancient civilizations were obsessed with beauty, so they configured the golden ratio to characterize this abstract term. This ratio, 1:1.6, is repeatedly found all throughout nature’s beauties. It stresses proportionality, harmony, and rationality, which brilliantly exemplify how we perceive beauty. The perception of beauty “is the relational proportion of our physical features that is the primary factor in determining the conscious or subconscious, of beauty.” (Singla 74) Beauty has evolved into something numerical and tangible, which has lead to a society filled with beauty seekers striving to achieve absolute perfection. One of the easiest ways to begin this journey is through our smile and our teeth, since “a beautiful smile is an added asset to a beautiful face.” (Singla 76) An aligned, full, bright, and welcoming smile is aesthetically pleasing and increasingly more important to society. Since teeth have become part of the beauty equation, we have paved the way for a specialized dentistry focused on the alignment and occlusion of teeth: orthodontics. Here at iSmile Orthodontics we guarantee a beautiful smile. Contact us and come for a complementary consultation. Speak with our financial consultant, treatment coordinator, and the doctor. Get a full evaluation. Live Life Smiling at iSmile! In a time when cosmetic dentists are offering a quick “smile makeover,” traditional braces may not even be a thought to consider. Although composite bonding, porcelain veneers, or porcelain crowns offer much shorter treatment time, these procedures are irreversible and often times involve removing healthy tooth structure on natural teeth to have them appear straighter, wider, longer, or even whiter. What many do not consider though is the significant long-term maintenance of these quick fixes. They chip, break, or even decay. Simply changing color and shape of a tooth will not address the underlying problem, and may lead to further issues. For example, you are a patient with a cross bite and crooked teeth from slight crowding. You decide that braces take too long and are too ugly, so you get veneers for $900-$2,500 per tooth. Uh-oh…your cross bite was never corrected, so it is putting so much pressure on the right side of your jaw that your veneers break from the stress. 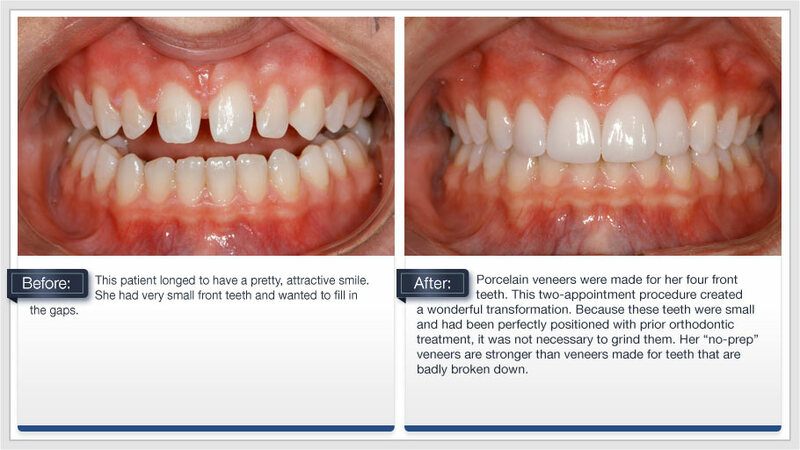 Now, your only option in this situation is to replace each damaged veneer…at full price. When shopping around for doctors and researching different procedures that can be done to fix your smile, keep in mind that orthodontic treatment is the most effective method of tooth re-positioning without aggressive dentistry. It is also a less expensive long-term maintenance plan because it avoids re-fabricating failing restorations, will straighten teeth, and improve facial profile and lip support. Don’t be penny wise but dollar foolish when it comes to your smile. Demand the best, and receive the best treatment available to you! Take advantage of our complementary consultations at iSmile Orthodontics. How much do you really know about your mouth? Here are some Myths and Facts that may be a fun read! Let’s learn! Here we go! Dental Myth: The only cause of bad breath is poor oral hygiene (poor brushing and flossing). Dental Fact: The majority of bad breath is caused by poor brushing and flossing, which leads to gum disease. Other causes of bad breath include smoking, certain foods and large dental infections or abscesses. Dental Myth: When your gums bleed, it is best not to brush or floss your teeth. Dental Fact: Gingivitis or bleeding gums are a sign that your gums are not healthy. Inflammation of the gums occurs from plaque and debris accumulating around the teeth, especially in the pocket or sulcus of gum tissue around the tooth. When the pocket is clean and there is no plaque around the teeth, the gum tissue will start to heal and stop bleeding. Daily brushing and flossing in conjunction with professional dental cleanings and examinations will keep your gum tissue healthy and prevent bleeding. Myth: Only the sugar in sweets and desserts are bad for teeth. Fact: Many foods have natural sugars in them. Both natural and processed sugars can cause tooth decay if they stay on teeth. It is important to limit the amount of sweets you consume and to brush and floss twice a day. Dental Myth: Brushing with salt will whiten teeth. Dental Fact: Brushing with salt will not whiten teeth. It will cut the gums and rub away the outer layer of the tooth because it is so abrasive. 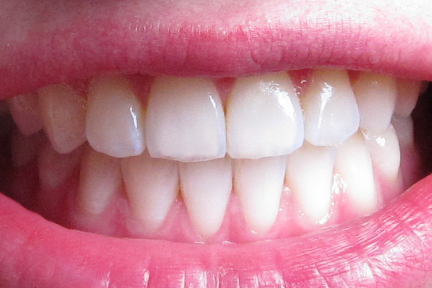 Your teeth may look whiter, but they will be damaged and are likely to need repair. 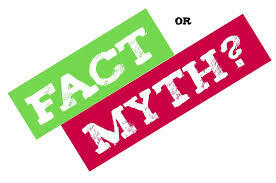 Dental Myth: If a patient is not having any dental pain, regular dental visits are not necessary. Dental Fact: Routine visits for professional cleanings and examinations to check for dental problems are necessary.Finding and treating dental problems when they are small is a more comfortable and less expensive way to take care of your dental health. Dental Myth: During pregnancy, all dental procedures must be avoided. Dental Fact: Professional dental cleanings can be performed at any point during pregnancy. However, routine x-rays should be avoided. Emergency dental care can be performed at any time with physician clearance. Dental Myth: There is no need to brush baby teeth. Dental Fact: Even though all of your child’s baby teeth will eventually be lost, they still need to be brushed and flossed daily. This brushing and flossing is important to establish good habits early in life. Daily brushing and flossing also helps prevent cavities or tooth decay. Cavities in baby teeth can affect the development of the permanent teeth. Cavities in baby teeth need to be treated with fillings, root canals, and even crowns. Dental Myth: Hard and soft bristled toothbrushes are the same. 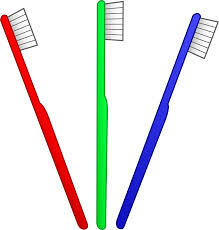 Dental Fact: Soft bristled toothbrushes are preferred as they get teeth clean and do not damage the teeth or the gums. Hard bristled toothbrushes can cause gum tissue to shrink away and can wear away tooth structure. iSmile Orthodontics in White Plains and Yonkers is more that ecstatic to provide these dental myth busters! Contact us about orthodontic treatment for your children, friends or even yourself or even, ask about Invisalign!